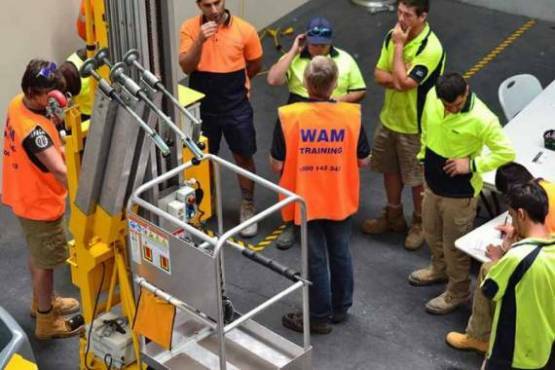 This competency unit of competency covers the skills needed to operate an EWP to meet WHS and industry standards for certification. The scope of training is to show competence in operating principles and methods, EWPprocedures and processes, communication in the workplace, responsible safe environmental practices, the limitations and scope of equipment, load specifications, designs and functions of various EWP’s, pre & post safety checks and maintenance, getting licenses and work permits, etc. Please click "Book Now" button above if you are looking for Scissor lift OR Boom lift OR Vertical lift. Workers entering, or in the, industry who have to work at heights under 11 meters. Participants have to put together a portfolio of evidence to bring to the session. Their evidence will be validated and participants will do a written challenge test. Trainees must provide their own work clothes and safety boots. Hazard Identification and ways to respond. Appropriate choice and use of controls & features. Settings and operational techniques for the weather conditions, specific terrain and settings, day or night without causing damage to equipment, machinery, load, property, person, property or environment (including property structures and soils). Sufficient literacy, numeracy and English skills to be able to write well, handle calculations and be understood by others. To be strong and flexible enough to do general maintenance and safety checks, set up, operate and take apart the EWP as needed. Booking needs: 100 points of identification.